Sharlto Copley is Offered the Villain Role in Spike Lee's 'OLD BOY' Remake! Spike Lee's Old Boy is lining up its villain in Sharlto Copley. The actor has been offered the part & Variety state he is likely to accept. Copley would star opposite Josh Brolin & Elizabeth Olsen in the movie, a remake of Park Chan-wook's asia extreme flick Oldboy, which follows a man named Joe [Dae-su Oh] who is captured & imprisoned in a room for 15 years with no understanding why. When he is suddenly released, he's told that he has just four days to determine the reason for his imprisonment. The movie was based on a late '90's manga series by Garon Tsuchiya & Nobuaki Minegishi. 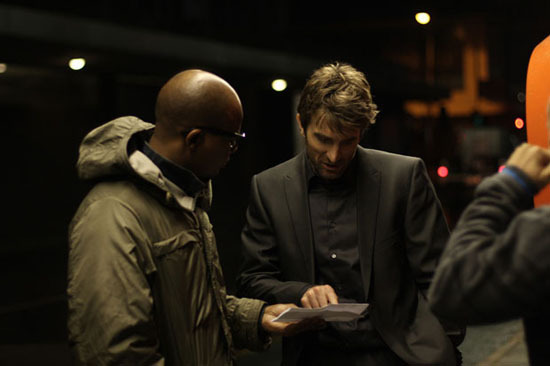 I'm reading: Sharlto Copley is Offered the Villain Role in Spike Lee's 'OLD BOY' Remake!Tweet this!